Age ratings specify a minimum age for those watching or using a product such as an app, game or film. However unlike films, age ratings for games can seem confusing. This article will help to unpick the age rating systems and help you to understand what games are suitable for your child. So, how are games and apps rated? Boxed games for consoles and computers within the UK, such as Call of Duty, are given a PEGI (Pan-European Game Information) rating of 3, 7, 12, 16, or 18 based on the content it includes. The box displays descriptors of what the game contains i.e. violent, sexual, or adult content. Apps are rated slightly differently. On Google Play games are also given a PEGI rating, but iTunes and Amazon have their own game rating system. The platform may also provide its own, separate age rating. This means that one game can be rated in several different ways. Checking out the different age ratings, reading the additional information about the game, and playing the game yourself, can help you to understand if it is appropriate for your child. Talk to your child regularly about what games, apps and sites they are using. Let them know they can come to you or another trusted adult if they’re feeling worried or upset by anything they have seen. Explore the game and look on the Net Aware site for age rating information on the most popular sites, apps and games. Net Aware also tells you what young people and parents think the minimum age for that platform should be. You can also a look at the Games Rating Authority or a breakdown of the content you can expect to see in different console games, helping you to make an informed decision. Agree: Make sure your child knows how to report or block other users. Help them apply privacy settings, where possible so that they control who can see their profile. Manage: Check out the game yourself to see if it lets you play with or against other players and if you can set it to ‘private’. They may be able to talk to other players through the game itself, the console network e.g. X Box Live, or external chat sites and forums. 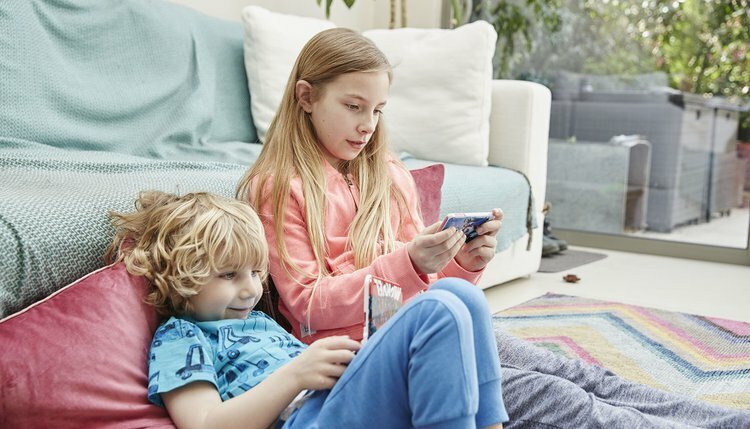 Turn on parental controls on gaming consoles to help prevent children from downloading games that aren’t appropriate for their age or from seeing harmful material. For more information on age ratings, you can speak to an expert advisor - call our free O2 NSPCC Online Safety Helpline on 0808 800 5002. Sign up to our icebreaker email series - packed full of information, advice and activities to help bring you closer to your child’s online world.